B) Click on Go to > Control Panel in Top Dock bar. 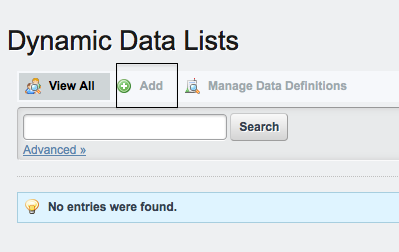 C) Select Dynamic Data List from Portlet listed on left hand sidebar in Control Panel. This will lead you to landing page for Dynamic Data List. (DDL) Portlet . In this Blog we will create a Sample Birthday Invitation List. Following are the major steps involved. Create Data Definitions for Invitation Data. Create a new List using the above data definition. Add Data to Birthday Invitation List. 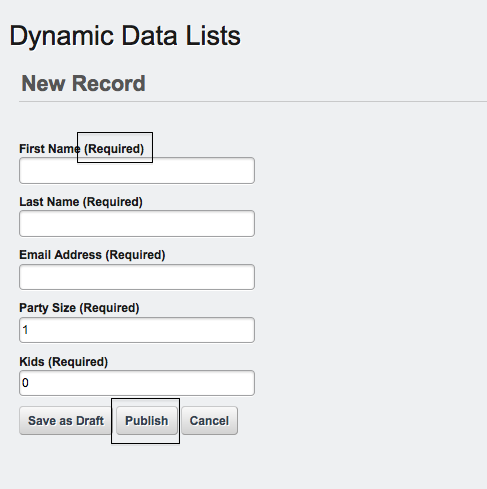 Display the Birthday Invitation List data in Dynamic Data List Display portlet on a Portal Page. 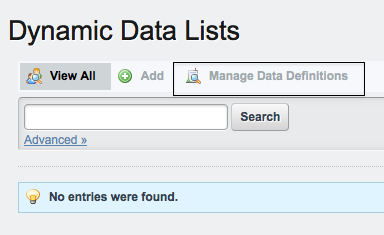 Click on Manage Data Definitions button on DDL landing Page. This will open a Popup to create data definitions. Click on Add button in Pop Up to add a new definition. 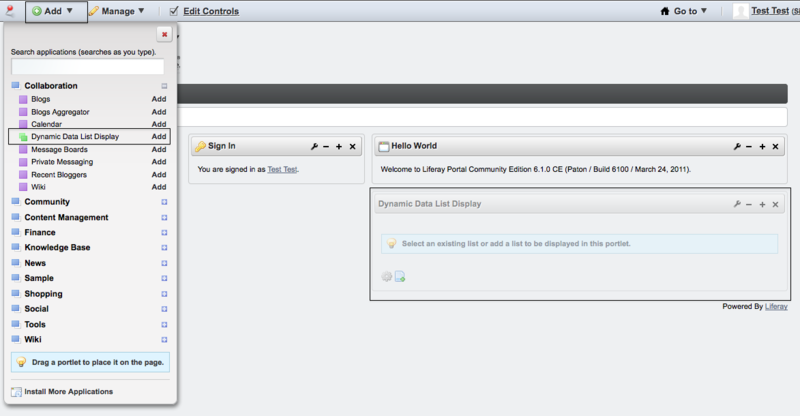 You will see similar window as when you define WCM Structure in Liferay 6. 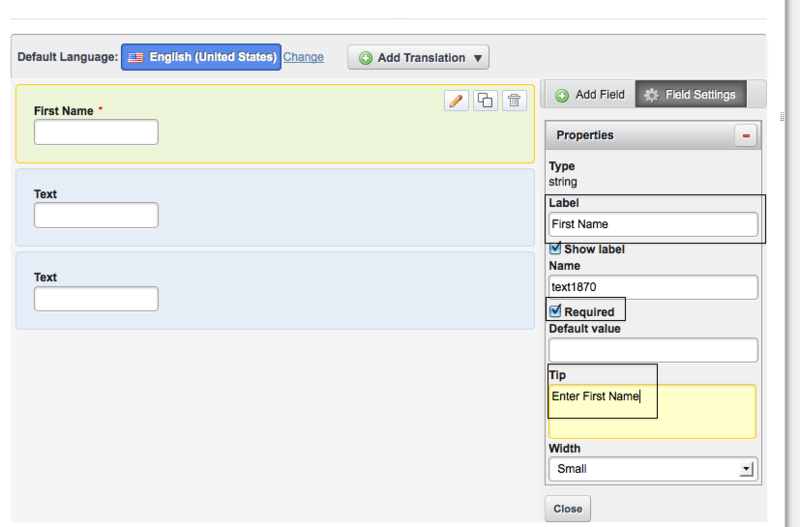 Its drag and drop UI, you can define the field’s, field’s type for the Definition. On DDL Landing Page Click on Add Button to add a new list. Fill the Name (John Doe Birthday Invitation), Description in the form. 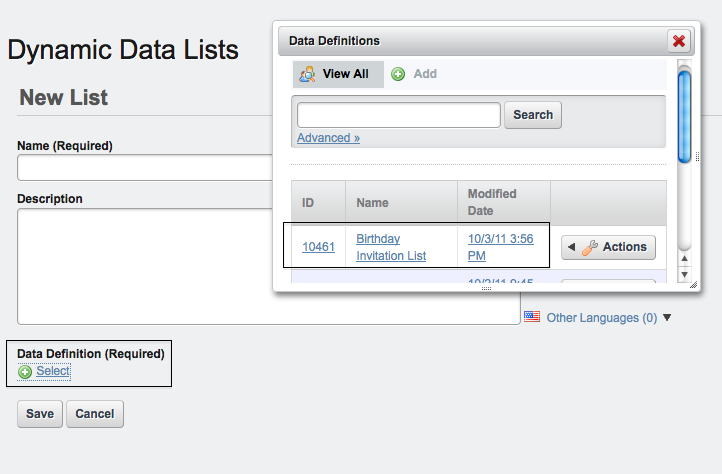 In Data Definition Select Popup, Select the newly created Data Definition in Step 1 Birthday Invitation List . Click Save. You will see this list on DDL landing Page. 3. Add Data to Birthday Invitation List. You will see Add Record Button.Click on this button. Next screen will provide you the form based on definitions data created in Step 1(Birthday Invitation List). Fill the form to populate the List. Go to a Portal Page. Click Add > More from Top Dock Bar. Search for Dynamic Data List Display Portlet. Add the Portlet to the Page. Configure the Portlet to display John Doe’s Birthday Invitation List. There are much more capabilities involved with this portlet. Will post information as i get chance to work on discovering more. 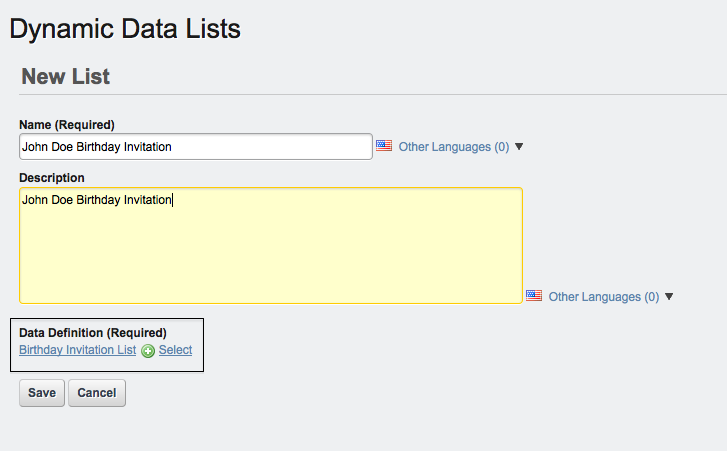 This entry was posted in Liferay, Liferay 61 and tagged Dynamic Data List, Liferay, liferay 6.1, liferay 61, youngsoft. Bookmark the permalink. I already have a contact list, and I’d like to bind it directly to the DB to not enter it one by one again. Contacts go to contact_ table with contact Id mapped in User_ table. Contact address goes to address table. Can we have instead of the calendar “date” I want to add hours, minutes and seconds in the format of “hh:mm:ss” ? Out of box, no. There is option of writing templates in DDL but i have not tried it and not sure if that will suffice your need. add script in DDL data definition. This will be a custom development. But I can’t find any way to link them… How do I do this?